Excellent opportunity to join a top quality global manufacturer of sealants, adhesives and PU foam. 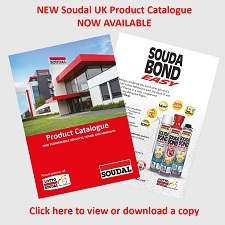 You will be selling into both national and independent merchants: national and independent glazing and roofline distribution, fixings and tools distribution, industrial distribution, roofing distribution, insulation distribution, buying groups, builders merchants, plumbing/electrical/decorating merchants, DIY dealers and wholesalers. Experience in selling sealants, adhesives and PU foam is not essential as the company provide training. You will already be working within a B2B sales environment, ideally in the construction sector. You will ideally have gained experience selling to significant distributors. A market sector speciality would be useful e.g. fire protection, commercial glazing, building chemicals, sealant applicators. Key Account experience would be preferred. Structured CV with evidence of career progression. A proven track record of working autonomously whilst making a strong contribution to a team. Educated to a high standard: Degree level, preferably in a business, economics or science related subject.